The ringing of the bells signifies offerings to the Gods and is supposed to be the first sound of creation. 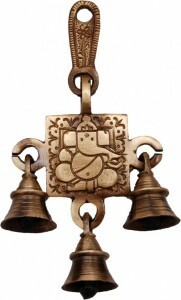 This exquisite brass Temple Bell will create a unique and peaceful ambiance in your Pooja room and enhance the interiors of your décor. 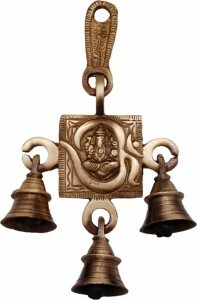 The sound that resonates out of this bell represents divinity and keeps evil forces away.